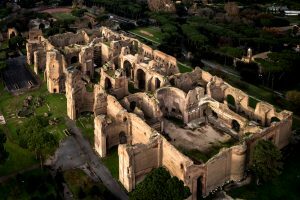 Rome Bath of Caracalla – Circus Maximus – Colosseum Tour – Rome Bath of Caracalla private tour – The Bath of Caracalla are a huge testimony of imperial Rome’s grandeur. In our tour we shall visit this ancient public spa, at its time the largest in Rome, capable to host more than 1500 bathers. 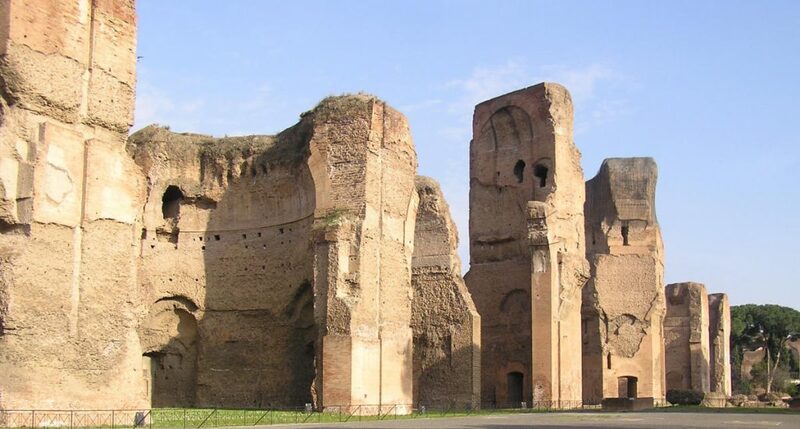 Built up in early third century under the Severian dynasty, they were inaugurated in 212 A.D. by the emperor Caracalla. The brick-built baths are a masterpiece of Roman architecture keeping a halo of charm. Now visitors can see imposing vaulted rooms, domed octagones, exedrae, porticoes and parts of the baths heating system along with large and remarkable fragments of fine polycrome floor-mosaics. The baths were provided with water tanks, libraries, gardens, dressing rooms, gyms, swimming pools. 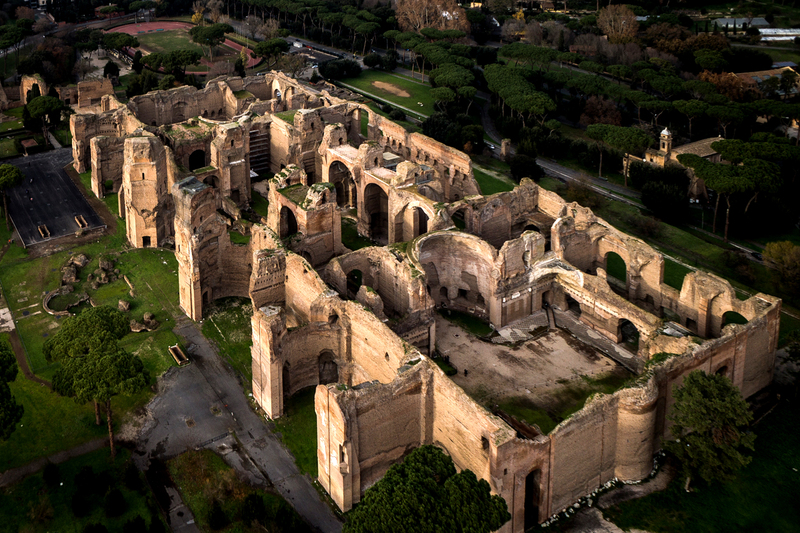 The tour in the Roman bath of Caracalla will be an interesting way to understand the daily life of the ancient Romans. Following the tour path we’ll walk few minutes and we shall be in front of the Circus Maximus the site of the Roman chariots races. Now it is just a large valley but with noticeable remains showing the structure of the curved East end. The circus, famous through Hollywood’s “Ben Hur”, had an unbelievable capacity of more than 250,000 spectators who sat on long tiers of seats. With a short stretch from the Circus Maxmus we arrive in the area of the Colosseum, originally Flavian Amphitheatre from the dynasty who built it, the most famous monument of the ancient Rome and the emblem of its eternity. 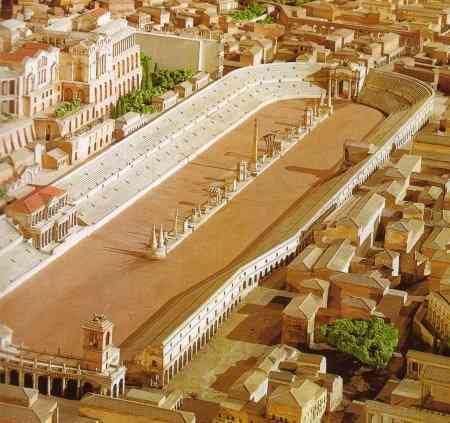 Set in a valley among other great monuments such as the Arch of Constantine, the Temple of Venus and Rome and the remains of the Ludus Magnus, the barracks of the gladiators, the Colosseum preserves the fascination and the air of mystery of Rome’s glory. During our visit we shall bring to life the shows performed in the amphitheater: gladiators’ combats, hunting of wild animals, executions, naval battles. Moreover you will have a detailed description of the building, its construction, development and use during centuries up to present time. Admission fees are not included in the price.